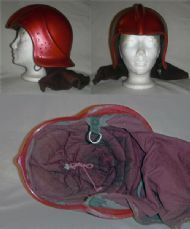 These are helmets with a shell that comes below the ear to protect the upper neck area. A Romanian Type B fire helmet used between 1994 and 2000. 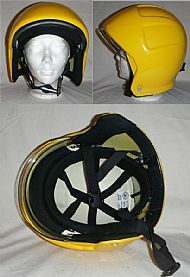 This is a full shell helmet but without a internal retracting visor. 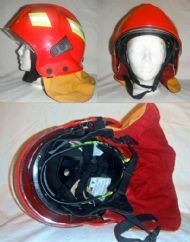 The head suspension is of padded cloth and does not give as good stability as a webbing type suspension. Made by the General Conf Grup (GCG) Company in 1994. 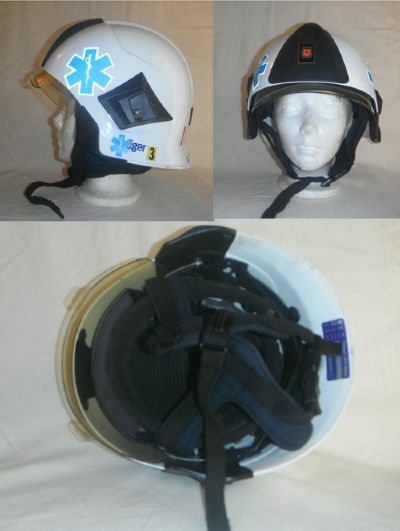 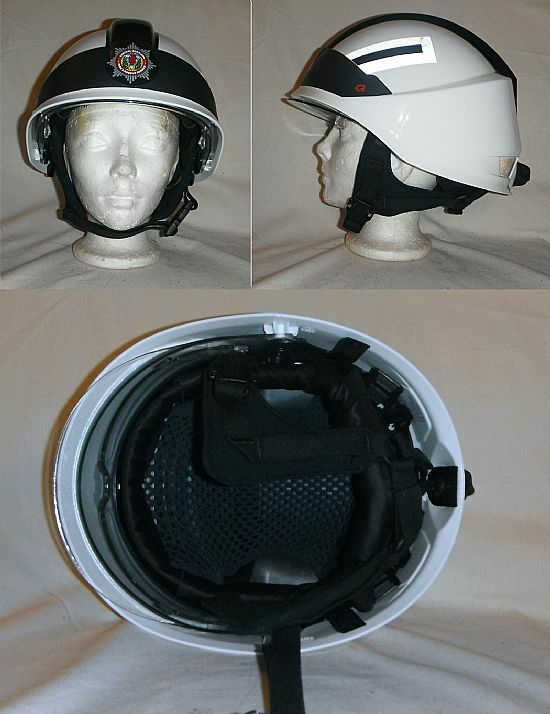 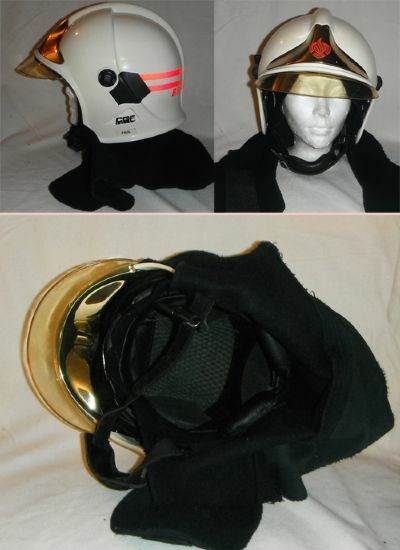 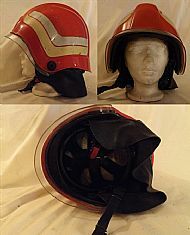 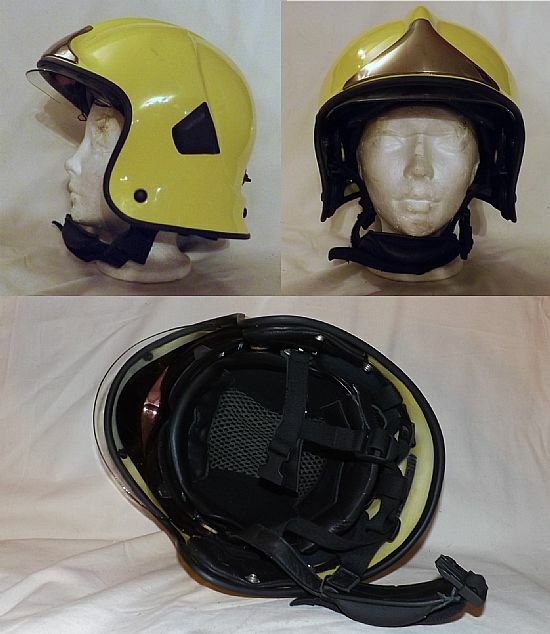 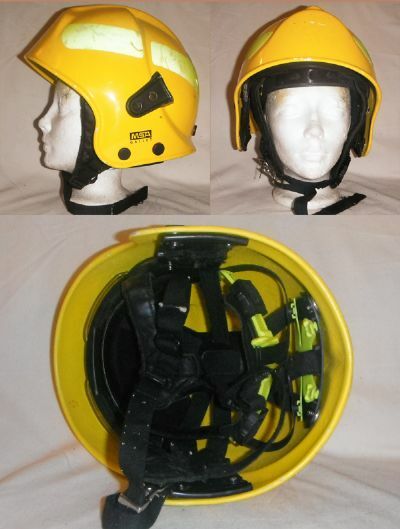 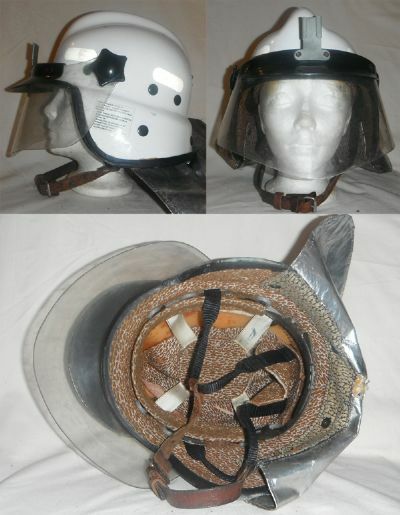 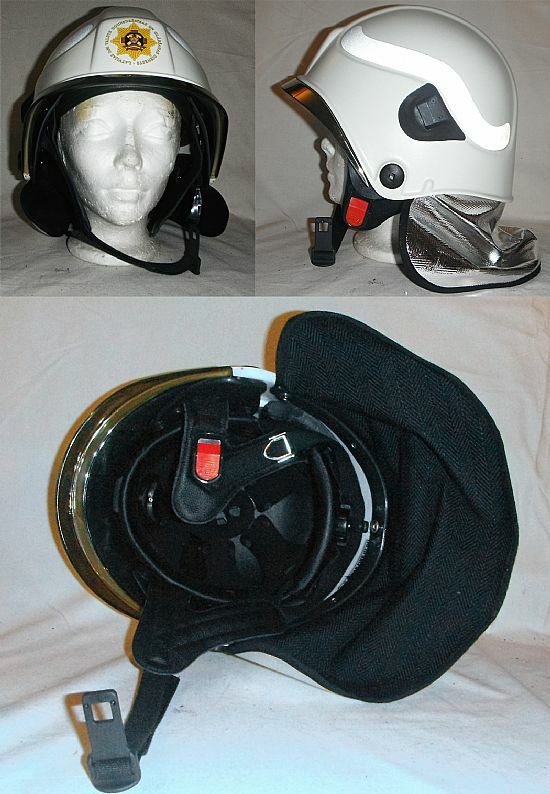 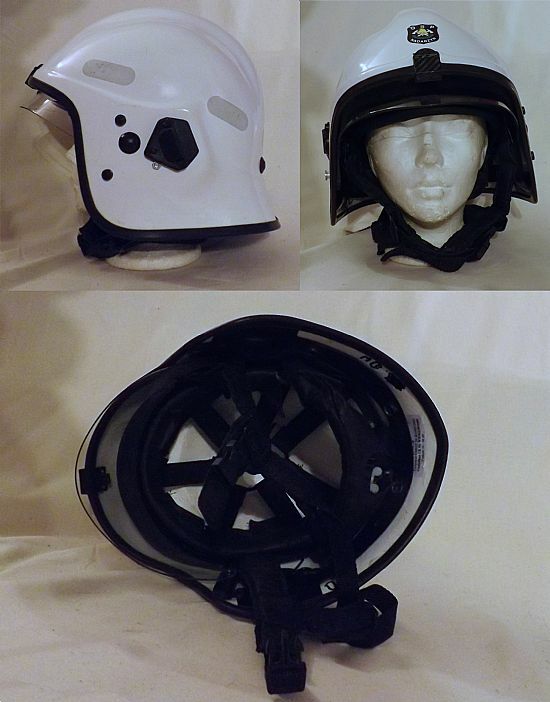 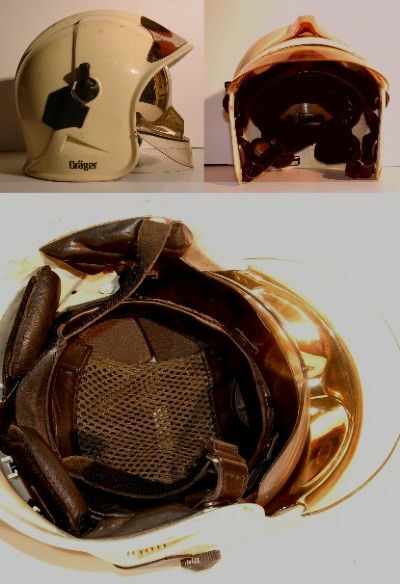 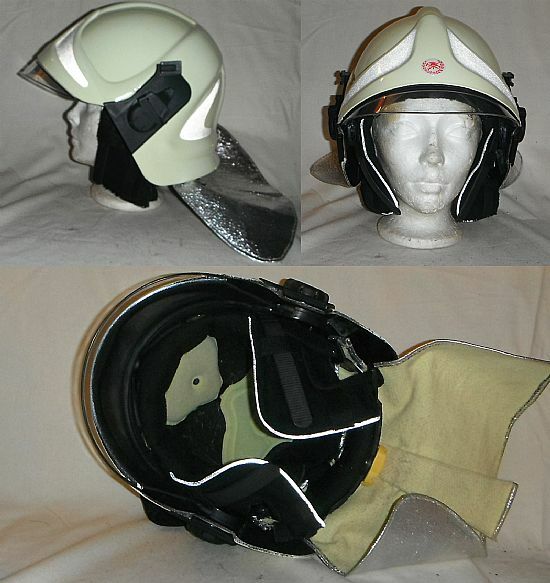 GCG was formed as a company in 1994 using private capital and one of it's first products was this fire helmet. 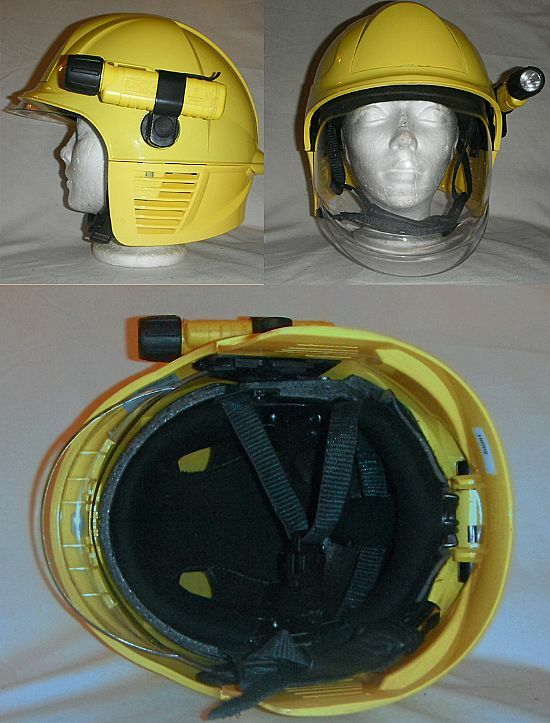 A 'configurable' helmet from Lion Apparel Gmb that fits both Type A and Type B categories. 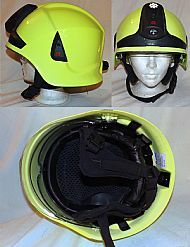 This FRS is now part of the Scottish Fire & Rescue Service. 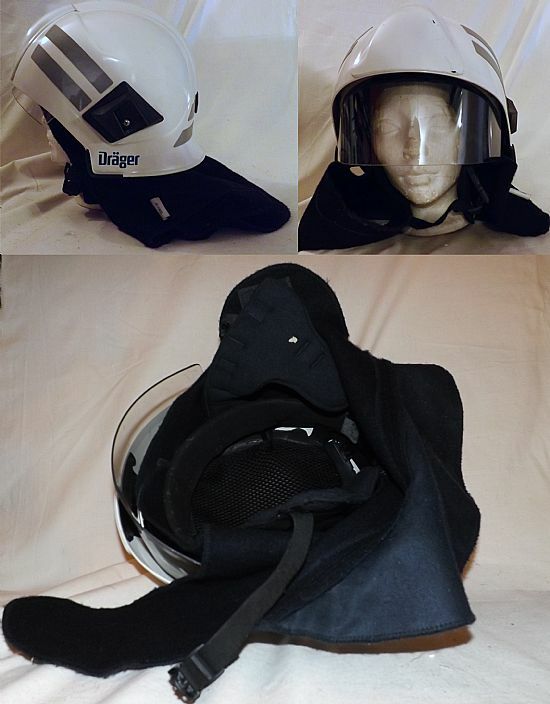 This helmet is made by Schuberth and marketed under the Dräger brand name. 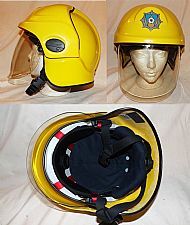 Helmets Integrated Systems Ltd, Cromwell F900. The F900 is the latest upgrade to the F600. 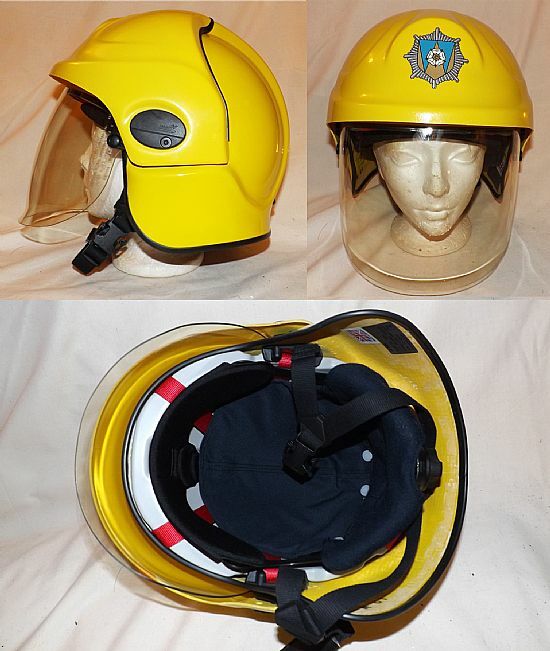 Used by the W Yorkshire F&RS between 2008 - 2012, they now use the Heros Extreme helmet. 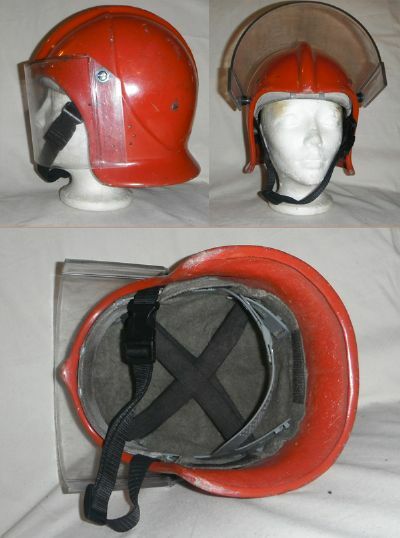 Javna Vatrogasna Postrojba (Public Fire Service) firefighters helmet. Helmet is made in Italy by Di Angelosante Negri Associati S.R.L (D.N.A,). Very similar to a Gallet F1 in design.